The Infinity Collection is available in VE I, VE II and VE II Series. Select the series and number of jets found under each of the models below to access a full list of standard features. The Best View. Zero Water Displacement. Ultimate Style. 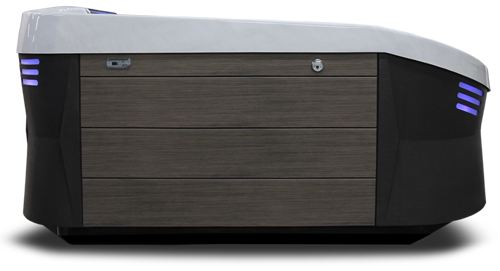 An Infinity Edge is the perfect feature for a personal Hot Tub. 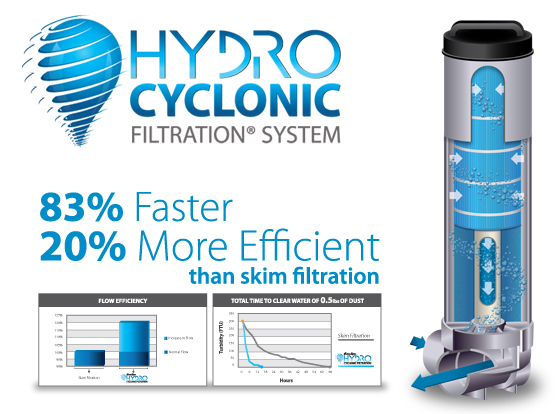 Not only does it eliminate your filter grate and bobbing skimmers, it also prevents the water level from changing. No matter how many people are in the Spa, the water level remains the same. A self-purging system automatically eliminates air-locks and an included water-level gauge makes it easy to keep the correct amount of water in the included reserve tank. This continuous blade of water measures a full two feet across and is fully lit with vibrant LED Lights. 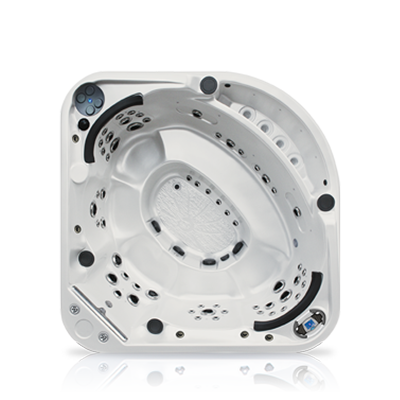 Fully adjustable, the 24" waterblade can explode into the middle of your hot tub or softly drop into the spa. At one time waterfalls were just to add soothing sounds and a relaxing ambiance to your spa. 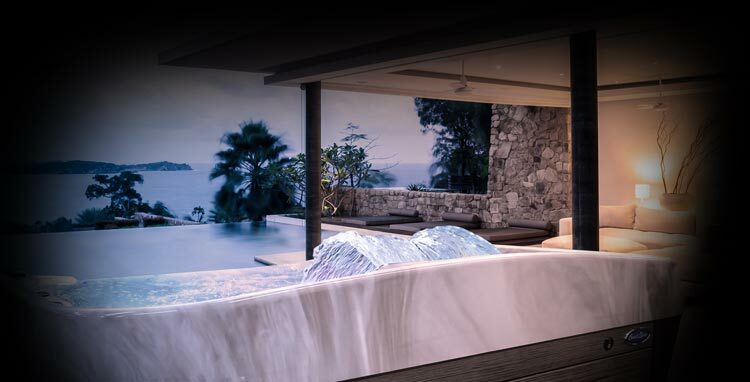 Coast Spas® changes that by putting you into the waterfall, giving you a feeling of pure relaxation and complete tranquility. 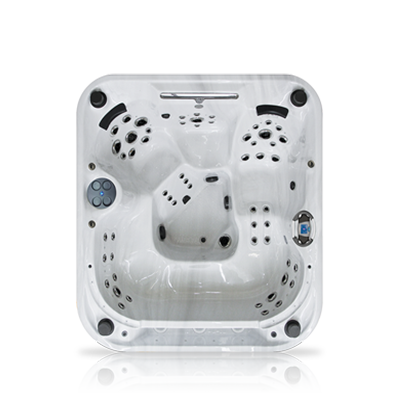 Our largest water feature comes standard on nearly all of our Curve and Cascade Series Spas. 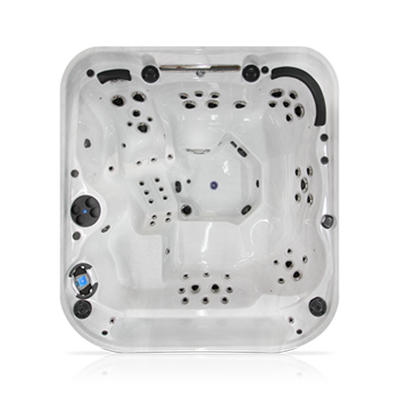 It is inevitable that dirt, sand and other debris will find it's way into your hot tub. It can be brought in on your feet, blow in by the wind or simply fall from the trees or a structure above. Regardless of how it got into your hot tub, the last thing you want is for it to stay in your water - collecting over time on the floor of your spa. Our Self-Cleaning Sweeper Jet is activated during the filtration cycle and blasts the collected dirt, sand and other debris off the floor to where it can be drawn into the filtration system. It's incredible how something so small could make such a difference to your hot tub enjoyment.